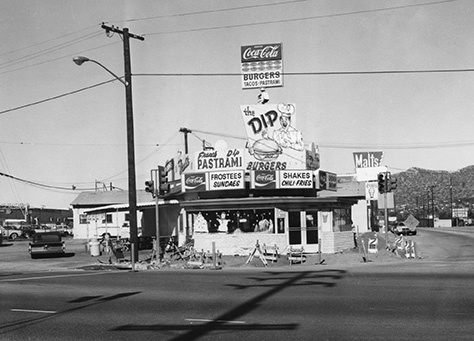 Michael B. McDaniel and Wes Clark (of the great blog Burbankia) grew up best friends in the San Fernando Valley of the 1960s and ’70s. 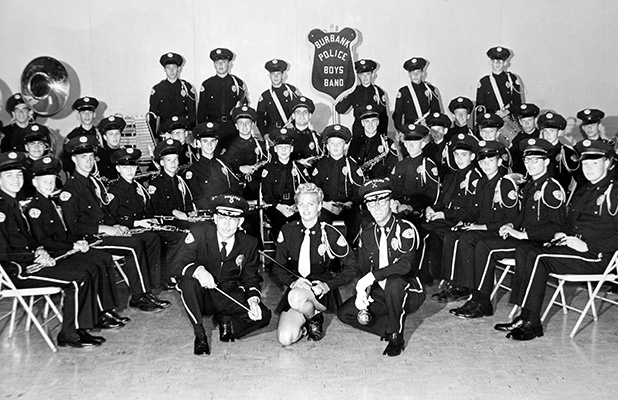 They have collected their memories—and more than 100 rare historic photos—into a new book called Lost Burbank. They dig into the lore (some rooted in truth, some very much otherwise) surrounding the oft-mocked suburb, including bizarre and outrageous suburban legends and the kind of stuff that only locals would know. 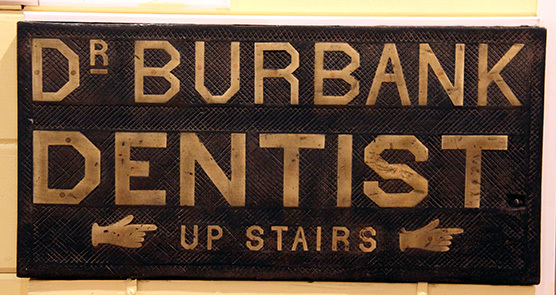 A San Francisco dentist named David Burbank bought 9,200 acres of farmland in 1866. 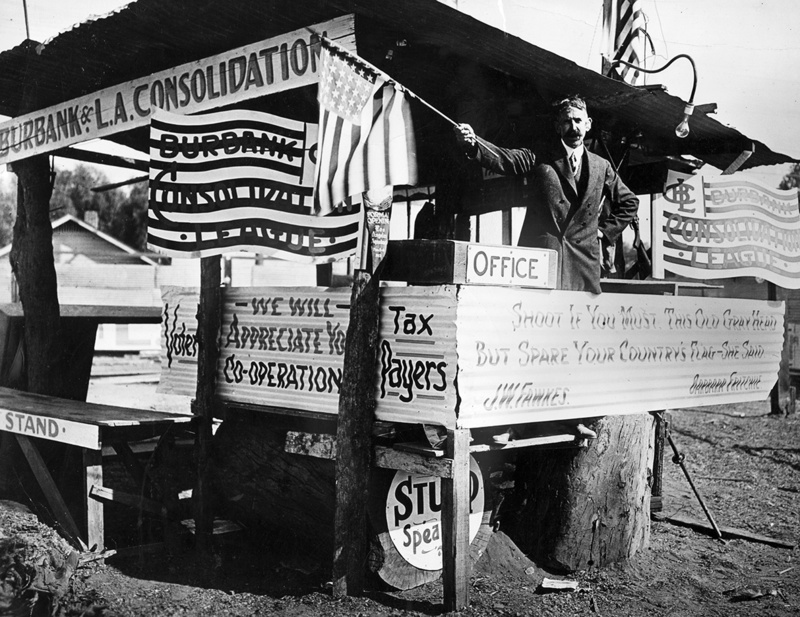 He built a ranch house and spent 20 years herding sheep before selling the land and paving the way for a new city. 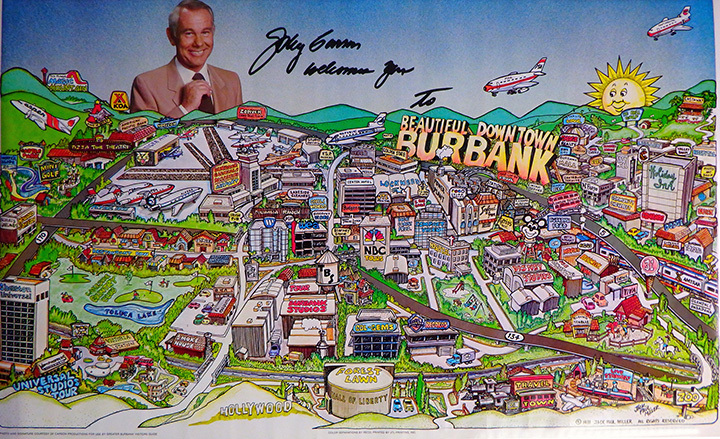 Burbank emerged as center of the entertainment and aircraft industries in the 1940s and the prototypical suburb of the 1950s and 60s. 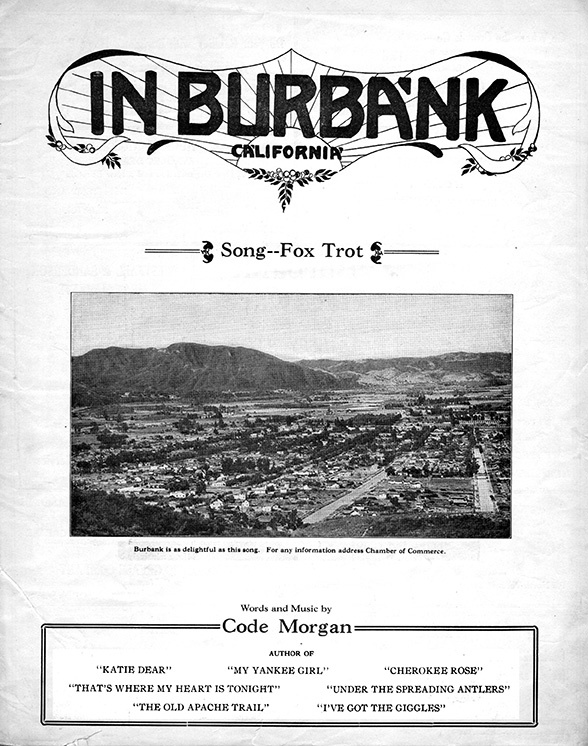 TV shows filmed in Burbank, especially Laugh-In and The Tonight Show liked to ridicule their sleepy hometown, but the planes that won WWII were made at Lockheed on Hollywood Way, the Disney empire moved to Buena Vista Street in 1940, and the best movie of all time was filmed on Olive Avenue at Warner Bros. 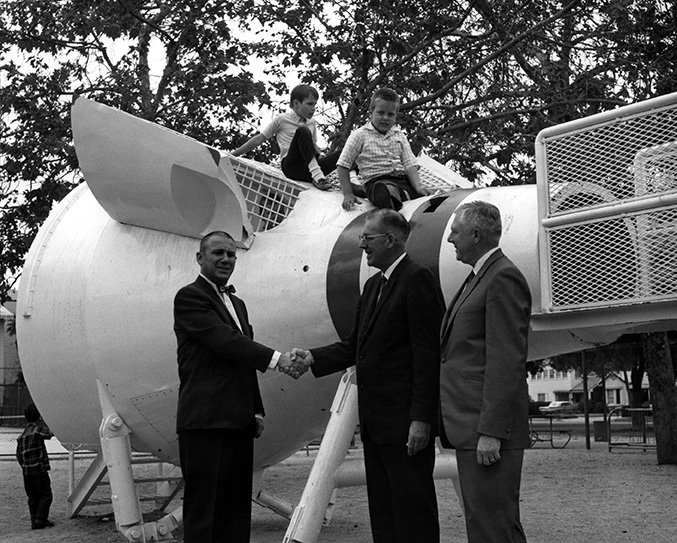 The original Starship Enterprise was even built in Burbank. 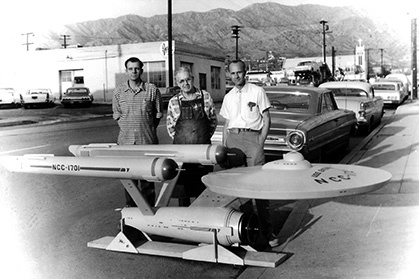 Mel Keys (L), Vern Sion (Center) and Volmer Jensen pose on December 29, 1964, with the first Star Trek USS Enterprise model for use by Paramount. 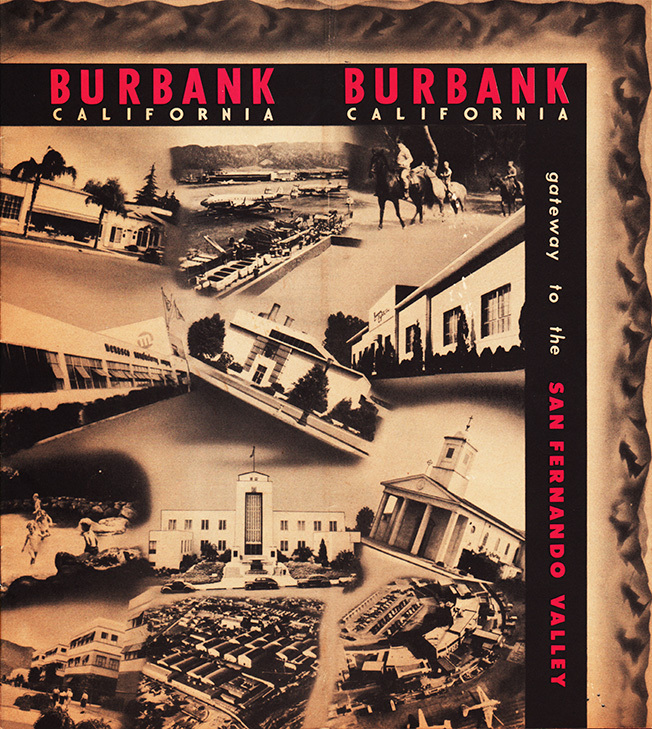 The model was built at Production Mold Company on East Providencia Ave.
It’s hard to imagine a more Burbank Burbanker than Verne Sion, who, on May 21, 1951, shaved his beard to spell “Burbank” for a competition. He won. 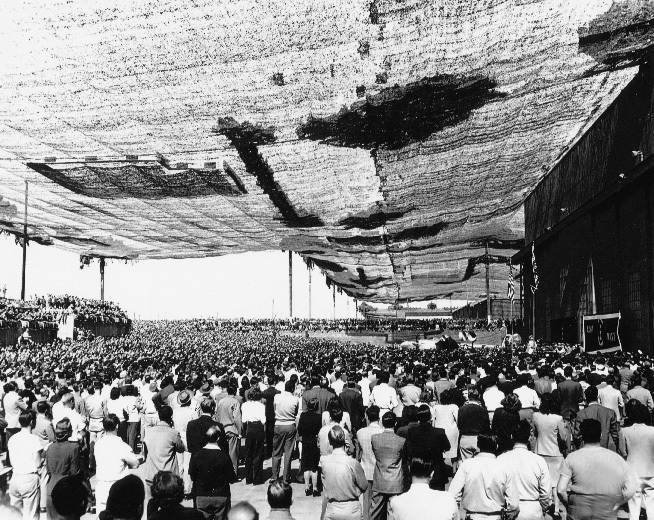 The book is not a comprehensive history lesson, but gives a locals perspective to a small town known around the world. 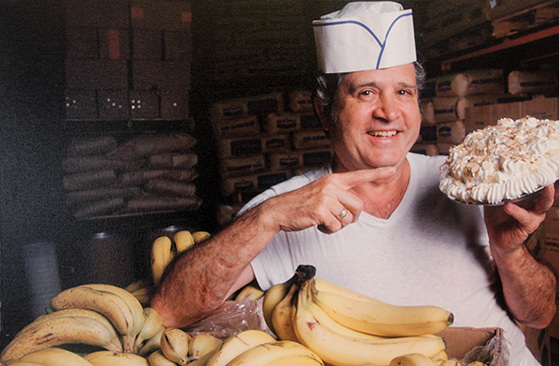 Who else but a neighborhood kid could tell us about the old burger joints and the bakery with the best banana cream pie? 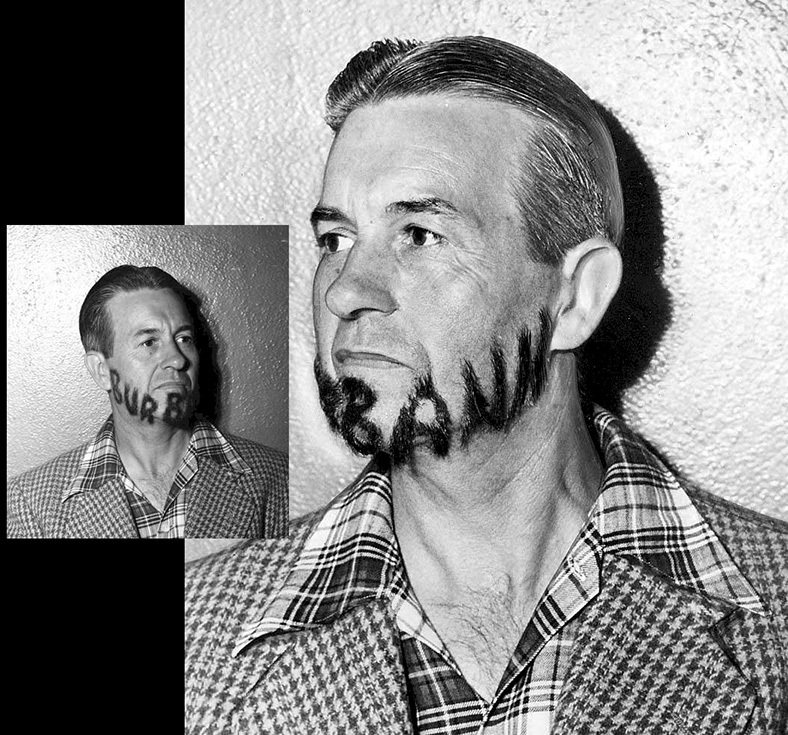 How else would we hear about the guy who won a contest by growing a beard that spelled “Burbank,” or the tale of the breathing oleander bush? Pumpkin-shaped real estate office on Magnolia Blvd. A 12-foot statue of Dr. Burbank was installed at the corner of Victory and Burbank Blvd. in 2010. It was carved in Italy, has a huge flagpole on top, and rests on a little traffic island. The whole thing cost more than a half million dollars. Lost Burbank is only $21.99 and you learn so much more.